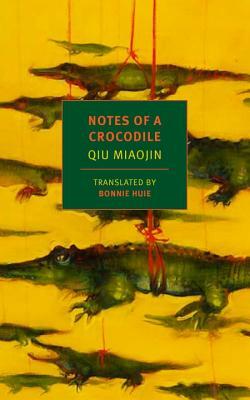 A queer cult classic in Taiwan, this super weird book about falling in love, going to college and maybe being a crocodile is like Michelle Tea meets Leonora Carrington, and it is wonderful. Qiu Miaojin (1969–1995)—one of Taiwan’s most innovative literary modernists, and the country’s most renowned lesbian writer—was born in Chuanghua County in western Taiwan. She graduated with a degree in psychology from National Taiwan University and pursued graduate studies in clinical psychology at the University of Paris VIII. Her first published story, “Prisoner,” received the Central Daily News Short Story Prize, and her novella Lonely Crowds won the United Literature Association Award. While in Paris, she directed a thirty-minute film called Ghost Carnival, and not long after this, at the age of twenty-six, she committed suicide. The posthumous publications of her novels Last Words from Montmartre and Notes of a Crocodile made her into one of the most revered countercultural icons in Chinese letters. After her death in 1995, she was given the China Times Honorary Prize for Literature. In 2007, a two-volume edition of her Diaries was published, and in 2017 she became the subject of a feature-length documentary by Evans Chan titled Death in Montmartre. Bonnie Huie is the recipient of a PEN/Heim Translation Fund Grant. Her rendition of Motojirō Kajii’s story “Under the Cherry Blossoms” was nominated for a Pushcart Prize, and she has also translated the work of Tatsuhiro Ōshiro. Her writings and translations appear in The Brooklyn Rail, Kyoto Journal, and Afterimage. Huie lives in New York.